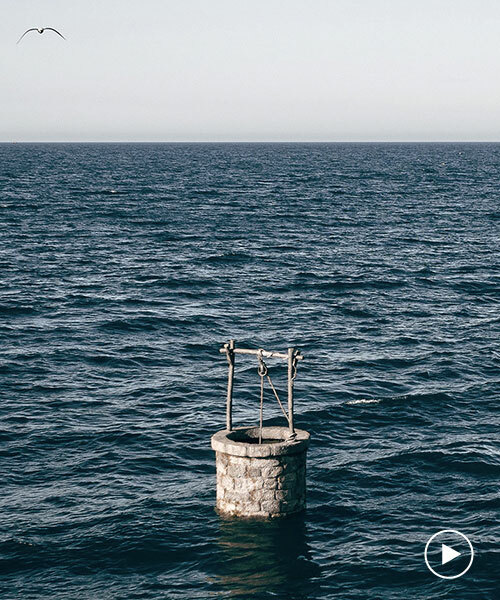 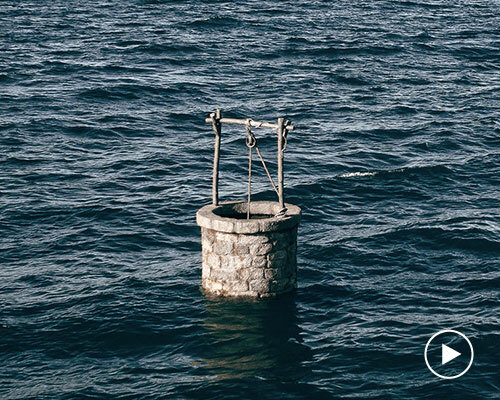 spanish artist pejac takes the literal source of life and places it in the middle of high seas to warn humanity. 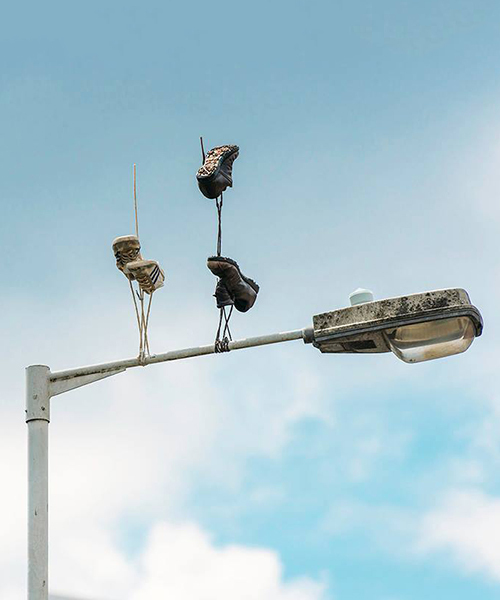 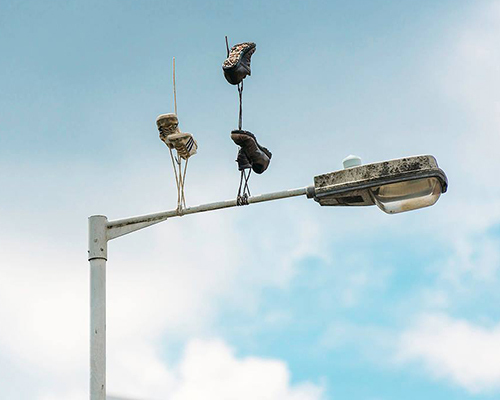 the familiar image of sneakers hanging from a street light is literally inverted, as a pair of shoes seemingly floats upwards in mid-air. 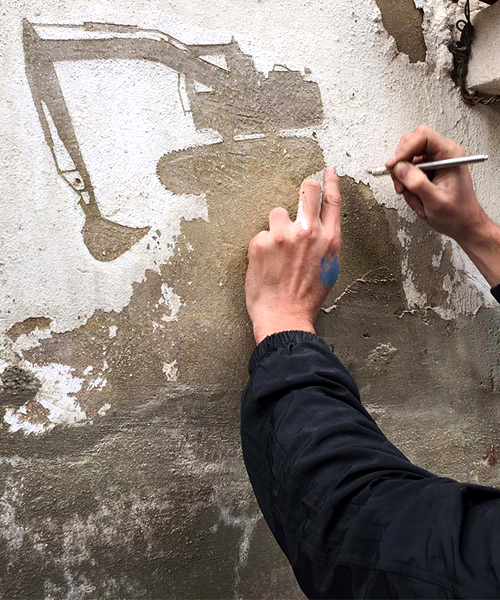 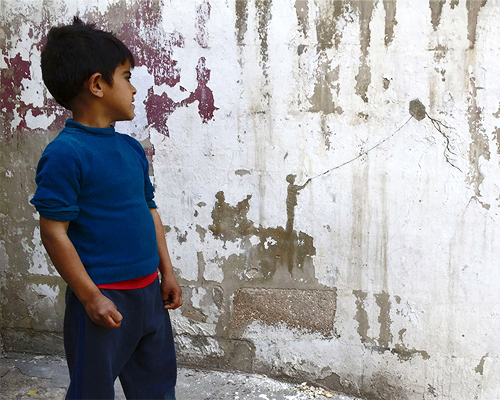 the works aim to bring attention to what the refugee camp represents in terms of the loss of both home and means of livelihood by palestinians. 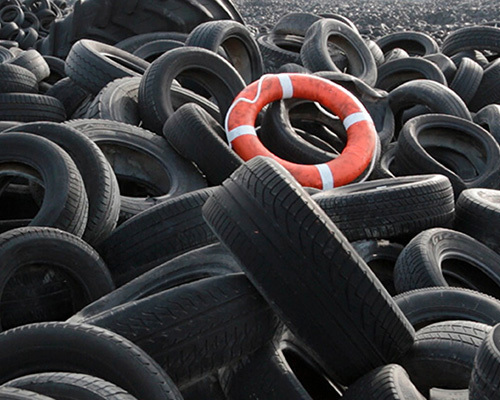 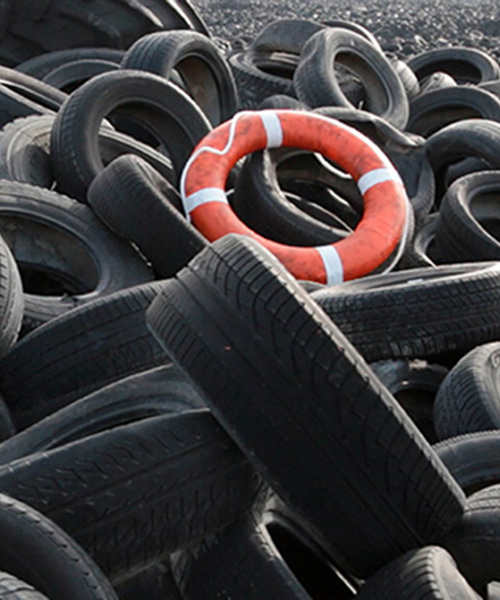 the spanish artist uses a landscape of disused tyres for the setting of his fictional landscape film.